CULTURE is the new buzzword in food safety management circles; it’s becoming a part of GFSI thinking and in fact BRC already have an optional Cultural Excellence module. In a food safety context ‘culture’ has traditionally been about growing microbes, but now we are talking about working towards a positive organizational food safety culture that influences a business’s compliance with food safety. 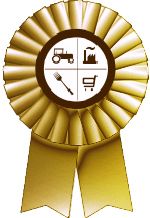 Whether positive or negative every business will have a food safety culture, so I thought a poll would be a good place to start the discussion. Have to admit ours could be improved considerably. There has been an ongoing battle between operational and quality staff for a long time now due to quality staff 'being awkward' and operational staff 'not faffing about getting milk into cold storage when there's sweeping up to do'. This comes from managers and supervisors unfortunately as well as those working beneath them. How do you go about breeding a positive food safety culture without sacking the lot and starting again?! I would say we're a 0+...neutral with positive momentum towards eventual excellence. I think most of our issues stem from the difficulty in convincing people to think of plastic bottles/jars as "food items." However, I know that I do need to have a pre-audit briefing with employees on how to behave during an audit! Last SQF audit, one of our long-term employees practically ran away from the auditor and tried hiding behind a gaylord...and one of our mechanics was so surprised that the auditor was asking him questions--"Where do you get your PPE? ", "When should you wash your hands? ", etc.--that he totally clammed up.So...not a good reflection on our food safety culture right there, if employees are hiding and freaking out. But you live and learn...continuous improvement and all that. Management is usually pretty supportive of improvements/training, even if they don't understand the particulars, especially if it makes us look good to certain customers who are very...gung-ho about their supplier standards & commitment to food safety. So at least I have that. I'm honestly not entirely sure; I'd like to say neutral, and we're definitely working toward exceptional. Our Quality Assurance team is always on top of promoting and supporting food safety on a never-ending basis, but the QA outlook on food safety is not shared amongst everyone in the workplace. I've seen new employees arrive for the first day of work wearing jewelry after just having been through food safety training with 20 minutes dedicated to GMPs the day before. I've stood next to employees in the break room restroom at the sink and even knowing who I am, what department I work in and what my job is, they will do a quick rinse and attempt to leave, forcing me to stop them and inform them that they must wash their hands appropriately. "Oh, okay, sorry." Yeah, 'sorry' won't stop someone from getting norovirus. Our commitment to food safety is beyond verbal description, but the issue in my opinion, is getting new employees to stop trying to get away with doing things. Don't refrain from washing your hands properly because no one is around to tell you to wash them with soap for 20 to 30 seconds. You were in food safety training, you know that is the expectation. Is it really so difficult? Don't wear earrings to work just because they're "hidden" by your beanie/winter hat. You know jewelry is a potential contamination issue. It doesn't matter if they're hidden or not. In retrospect, what's even the point of wearing them if you're going to "hide" them? Leave them at home! These are the GMPs, as clear as a summer's morning and as easy as 2+2. There's literally no valid excuse not to follow them. That's something I just can't get my head around with new employees. New permanent ones should be looking to make an impression and agency ones should be doing everything they can to encourage us to keep them as long as is possible but instead its the new ones that get out of their vans and gob on the floor or avoid wearing hairnets etc. At least the longer-term employees can put their negative traits down to complacency! Problem is without the powers from above disciplining- or even leading by example half the time- members of staff then QA don't have a chance. I myself run a two-man department (the number two is currently learning the job and we're still moulding him to think like a technical person) and we can't spend all day chasing people to wear hairnets and wash their hands. If anyone knows a way to present a case for a change of culture or a way of suggesting it to the top then please help!! Agreed. I mean, I've had new hires come to orientation wearing clothing that goes against our GMP policies. Naturally, it's not a food safety issue as they were not going into the facility at all, but maybe it's just how I was raised or my own personal beliefs, but a tank top and shorts is not appropriate attire while you're still making an impression. Maybe they have the mindset of, "I'm not actually working yet," or "I already got the job," but that's something we need to crack down on and really emphasize to HR that new hires should arrive in work-ready attire to get them "used to it," in a sense. Our workplace attire for working in the facility is quite simple: no jewelry, employees must wear closed-toe shoes (boots, sneakers, etc.) in good condition, pants (no shorts or capris, and the pants can be jeans), shirts with sleeves (short-sleeved t-shirts minimum) and hair covering by way of a hat or hairnet (or both in exposed product areas) and that's just about the basics. I mean, that's basically the common attire for anyone walking on the street. QA can't spend their entire day watching people, so one would definitely need managerial assistance on the floor for GMP inspections on a regular basis. Communicate with management, "I just saw John Doe wearing earrings and I told him to remove them. Please make sure he is not wearing them after already being spoken to." Something along those lines, but one would also need management trust and commitment to actually notice and further police any subsequent deviations. We are working very hard on this issue, and generally think we have an okay culture. We have implemented a 'continuous improvement initiative' that is being rolled out over all our sites at all levels. Our hope is that this will get everybody on board, but it takes time and money to roll out. The trick is to find out what motivates each member of the team, and try to give them that motivation. Food safety Culture! This is really big. It isn't that only QA guy understand food safety habits. Washing hands are just basic etiquette, which individuals follow which feeding them self or importantly with their Kids. We did a trial in my company and recorded some activities of employees on shop floor. Compiled them in a ppt adding the level of seriousness these small activities can lead to their own families. Which really worked. Employees started inquiring with QA team on food safety practices and their contribution to public health. Developing food safety culture is a continuous process and we are determined to bench mark the same. You definitely need to take out as many opportunities for variation as possible. In terms of dress code that has to be the provision of a worker uniform e.g. trousers, t-shirts and safety boots that have to be left in site and ideally laundered by a hygienic laundry that's approved for food safety. As well as being hygienic the standardization helps build the professional mindset. At moment I' not working (unfortunately!) but I think that a food safety culture is more than wear proper clothes or washing hands, it's all behavior and mind that must be educated from top (management) to ground floor (simple worker in production or farm). Some time ago, I've found these interesting books, which I recommend to have some reading, they are very interesting. thanks for sharing these books for reading. i am looking for more case studies on food safety culture and more interactive session in this thread so that it is beneficial to all stakeholders in food chain. I'm glad I am so not alone! While we have a commitment from most of upper management, there are a few departmental managers wreaking havoc with interdepartmental relations. QA works very hard to train and educate people line side, but when there's departmental supervision undermining almost every policy in the building it is hard to overcome and be the better person. I have been nurturing patience within myself and hoping that something happens to solve this. Sometimes when company has an extremely soft approach, there is no backing to enforce policy. Considering my co-worker just found a partial meat and cheese tray from a company meeting stashed in the formulating area, I'm not super happy. I think as everything is a process, but the quality and safety culture is teamwork and I think our team initially cost a lot, but gradually go after the food safety culture! In my experience it all starts from the top of the company, i.e. owner, director, CEO, etc. In a customer audit 15 years ago, or so, an auditor asked me how many QA people were in my department? I responded with the number and my boss responded further stating we had "75 QA people". What he meant by this was the operational personnel were responsible for the quality of the product they produced, including the maintenance staff on the machines/equipment. Our food safety culture there was about a 0 at the time, but that was more due to production management than the operators. The floor staff wanted to do the right thing, but were always pressed by production management to make short cuts and save time over quality. In my mind, it is the top, and the management which sets the tone. If you find yourself chasing personnel to adhere to basic GMP's then you are going to the wrong persons. You need to go to their supervisors and management and discuss the issues with them. They need to set the example and enforce the rules, period. This is actually a really interesting and very relevant topic. I voted +1. However, I have been fortunate in that I was part of the team that started our factory which meant we could tailor policies, procedures and training to how we wanted the culture to be. Nobody here is shy of auditors or visitors and always happy to talk with passion. The people here are very proud of what they do and are motivated to do well. Of course there are one or two exceptions at all levels that sometimes (and I use this phrase very loosely) 'consider production issues more important than technical issues'. This is their nature and is ingrained as part of their personality, very challenging to try and change but we have made progress. For me, a successful food factory has to be mostly about the people working in it. They've got to feel respected, appreciated, motivated and that their opinion counts. I involve my team in a lot of my decisions to give them accountability and in return they do not want to disappoint me when they agreed to it, so it runs like clockwork (more or less!). A happy, motivated, respected staff member is far more likely to comply with rules and procedures than someone who isn't. The difference is clear to see at my factory, more so than any other I have worked in. First of all, I think we're a +0.5 right now. Above I mentioned briefing employees on how to act during an SQF audit. I created an employee SQF presentation that went over the basics of why we chose to be SQF certified, what being SQF certified means, how the re-certification audit works and how to behave during the audit. I gave this during our annual refresher training in December, and I believe it really worked out well for us! We had another new auditor this year, and he was very into interviewing employees on the floor. I'm glad to report that all employees he spoke with did very well at answering his questions and explaining their duties, etc. And I had a meeting earlier today with several of our management team to discuss better and more effective quality training for our line operators, so that's why I believe we're a solid +0.5 right now. Hopefully a +1 by the end of 2017! Food safety has always been challenging with changing times and needs. Hence our approach should be dynamic and flexible to the fact that things will go wrong and needs to be fixed each time..